Grounded on the idea that medicine should focus on the patient in the totality of his person and not only on his or her disease, person-centred medicine (PCM) proposes conceptual principles and practical means to reach this goal. 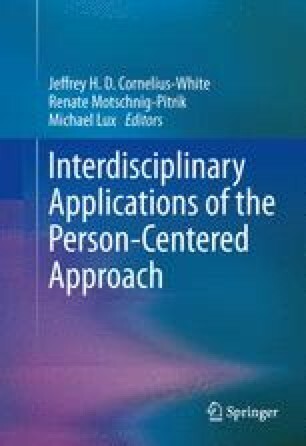 This chapter will present these principles and one of the main tools elaborated to implement them: the methodological role of empathy as a way to include the subjectivity of the participants (the patient, their family or their caregivers, and the health professionals—medical and nonmedical) in the medical encounter. Additionally, we refer to relationships of PCM with the PCA. Mezzich, J. E., Snaedal, J., Van Weel, C., & Heath, I. (2009). The international network for person-centered medicine: background and first Steps. http://www.personcenteredmedicine.org/mission.php. Accessed 21 July 2012.